There are few things that competent football handicappers disagree on more than teasers. Some handicappers are adamant that teasers belong in the same category as parlays, reverses and other wagers that are often considered sucker bets. 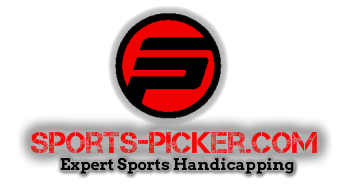 Other handicappers believe that if you pick and choose your spots, and look for certain key numbers to tease, they can be more profitable than straight bets. The most common teaser bet is the six-point, two-team teaser. Both your teams have to win in order for you to win your bet, but you can move the point spread six points in any direction you wish to do so; which means you can make a 7-point favorite a 1-point favorite or a 5-point underdog an 11-point underdog. As a result of needing both teams to win in order to win your bet, you now need to win 72.37% of your games in order to break even, assuming you are laying the customary -110 on your teaser bets. As mentioned in our Basic Teaser Strategy Article. Stanford Wong who is thought to be the inventor of the “basic strategy teasers” used push charts in his 2001 book “Sharp Sports Betting” to illustrate that utilizing point spread modifications on +1.5 to +2.5 underdogs and -7.5 to -8.5 favorites is a profitable sports betting system when given the correct teaser odds by the casino or sports book. Eventually beating the books at a rate of more then the required 70.95% Mr. Wong begin to track and prove that winning with teasers was profitable given their current state and availability. In both of the mentioned underdog and favorite teaser scenarios above when moving the spread six points you are locking in a win on an otherwise loss and this was another one of the great revelations of “basic strategy teasers”. This strategy was made possible because the bookmakers commonly offered a standard 2 team 6 point teaser at +100 or even money. After Wong’s basic strategy was fully public and understood, it prompted most bookmakers to adjust their odds to -110 on a 6 point 2 team teaser. Since more games in the NFL are ending closer to the point spread than ever before, there are going to be a number of games where both teams win on teaser wagers, regardless of if you chose the favorite or the underdog. It’s the other games that will determine how you fare overall. There are several strategies when it comes to teaser betting, such as look for good defensive teams who are less likely to be soundly defeated. The logic is that they may not cover the point spread, they are still likely to cover a teaser because they can keep the opposition from scoring too many points. But the best method is to simply look for the two key number groupings and concentrate on those. The first number grouping is favorites of 7 to 9 points. When used in a teaser, these teams now become favorites of 1 to 3 points. Collectively between 2006 and 2013, these teams posted a teaser record of 253-80-7, which translates to 76% and is good enough to show a flat-bet profit. Of these, the 8.5-point favorites teased down to -2.5 performed the best, going a remarkable 41-6 (87.2%) when used in a 6-point teaser. Most sportsbooks will count a win and a tie on a two-team teaser a push, but there are those who will grade a win and a push as a loss. Even if you consider the seven pushes as losses, the winning percentage of 74.4% is still high enough to be considered an expected positive bet. The second number grouping consists of the small underdogs from +1 to +2.5 points. When used in a teaser, the new spreads are +7 to +8.5. Teams in this range posted a collective teaser record of 287-87-11 (76.7%) between 2006 and 2013. The number that performed the best was taking 2.5-point underdogs and moving them to 8.5-point underdogs, as they posted a 106-25 (80.9%) teaser record. Once again, even if you consider the pushes as a loss, your adjusted winning percentage of 74.5% is high enough for a positive expectation. The statistics show that when used properly, along with some common handicapping sense, teasers may be better wagers than were previously thought and should not be instantly discounted as a sucker bet. As Teaser strategy is constantly changing and Online Sports books are competing for business, this leads to some interesting Arbitrage opportunities. I VERY frequently see teaser opportunities with spreads as far off as 2 points on different sports books. This is due to the fact that some sports books like 5Dimes and Bovada or Bodog will shade their lines slightly to balance their books and makes some specific teaser bets less profitable. This leads to opportunities where you can get a FREE hedge bet by placing a teaser on one site and going the opposite direction on another site. If you can hit 1 out of 20 of these at reduced juice you are making money. This is just another reason that it pays to have accounts with multiple online books. If you use one of my links (Click the banner below or one of the links on my sports book review page) to sign up, Send me an email within 24 hours at infoATsports-picker.com replace At with @ and I will send you a free guide on how how to find and exploit these teasers. I will also give you a free week of my VIP picks. To qualify you need to make a deposit of at least $100 and send me the last 4 digits of your account #.